The '75-79 Oldsmobile Omega offered all of the reliability and road manners of the Nova, but with an upscale Oldsmobile grill and some wood trim on the inside -- this was some serious mid 70s luxury folks. Suspension in the 1975 version, of course, shared with the Nova, but very similar to the one used in GM's 2nd generation Camaro/Firebird F-body cars. It was equally as wonderful or terrible depending on who you ask...but this one comes with the rare rear-hatch camper tent option...which is the big orange tent you see pictured below that looks like something you'd deploy to warn people that your Omega had broken down on the side of the road or was about to. 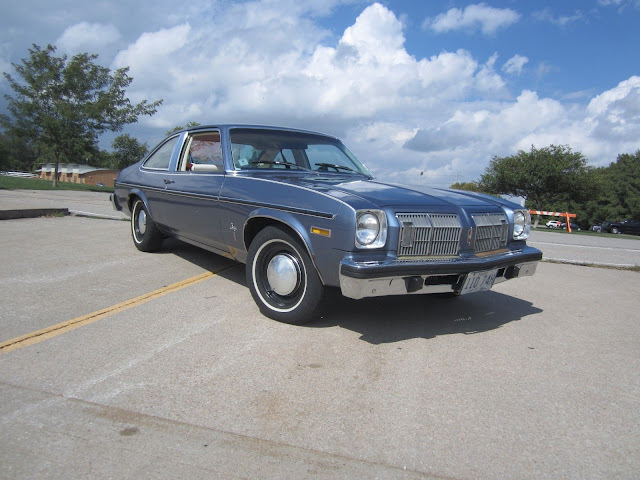 Find this 1975 Oldsmobile Omega here on eBay offered for $7,500 buy-it-now or make-offer located in St Louis, MO. Way back when I was a Boy Scout a scout master from another troop had one of these. I had no idea what car it was at the time but thought he was the coolest camper. I remember we slept in WW Ii surplus pup tents and that dude glamor camped. I swear I can still smell the musty, mildew scent of old canvas but I digress. Also, love the Old Skool cold air intake. 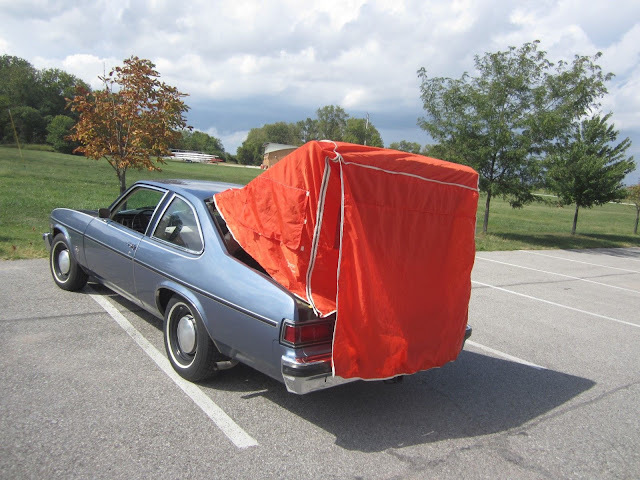 It was a prerequisite at the time to flip the air cleaner cover on a carbed car. I remember doing that to my Dad's '74 Kingswood wagon. He didn't appreciate that when he noticed. The for the memories! It has a 2" receiver hitch. I wonder what you could tow with that small V8. The long-lost ancestor of the Pontiac Aztec? I had no idea this existed. I got a little obsessed with Nova hatchbacks after seeing Logan Lucky.